Abu Anees Muhammad Barkat Ali (رحمتہ اللہ علیہ) ‘s Basharat about Pakistan in the light of Ghaus-e-Azam Shaykh Abdul Qadir Jilani (رحمتہ اللہ علیہ) 's 900 years old forecast about advent of 1400 Century of Hijra. It is my heartily dream to see Pakistan in this state in which decisions of the world will be made in the yes or no of Pakistan. aameen. i was so scared of pakistan future before reading this web site article ,now i am just waitin for the good time inshallaha . looking at the current situation of pakistan i don't see ALLAH is with pakistan. "Ghar Ghar aag lagi huwi hai"
"Hum to iss dunya se ja chuke hon ge jab ye sub ho ga"
so he knew about the era well very. Faiz or barkat se pata chalta hai. Also uss dour ke aur wali bhi pehchaan laitain hain. 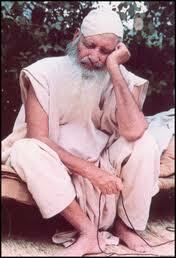 @"hur admi apnay peer ko mujadid he kehta hey"
You are correct. Followers of Tahir ul Qadri Sahib call him Mujadid. 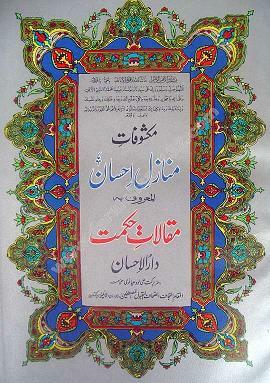 Similarly author of above book who is follower of Sufi Barket Sahib so he called him Mujadid. I think it is correct. Dr Israr Ahmed said Mujadid comes in beginning of every Islamic century and it is also possibility that multiple Mujadids may came in multiple areas at same time. They are local Mujadids who are came to survive Islam at their local areas. One thing is important that we cannot say to anyone that he is Mujadid before his success and before his death because it is a title. In last century we can say Ashraf Ali Thanwi and Allama Iqbal were Mujadid in India sub continent, and Baiduzzaman said Nursi in Turkey who did Jihad against Russia and wrote the Risale-i Nur Collection, a body of Qur'anic commentary exceeding six thousand pages. He did lot of work on Imam Mahdi and also predicted period of Imam Mahdi which is our period. In this century we can say who is Mujadid... it is too early as we cannot see success of anyone in survival of Islam but Sheikh Nazim and Dr Tahir Qadri are good candidates for their areas. Sheikh Nazim also did great work for Imam Mahdi from last 70 years and he is considered a man with turban who will identify Imam Mahdi as predicted in Hadith. Sorry in my personal view (may be I am wrong) Abdul Qadir Jilani predicted 900 years ago for Sheikh Nazim who will come before Imam Mahdi and support him because both Baiduzzaman said nursi and Sufi Barkat are not with us. They did great work and Insha'Allah they will support Imam Mahdi from Barzakh but Allah gave long life to Sheikh Nazim on request of Prophet Muhammad (saas) to support Imam Mahdi. aap aur hum to nahin laga sakte magar jo khud wali ho woh laga sakta hai, ye 'paish khabri' Ghaus-e-Azam (R.A.) ki hai, aap Maqalat-e-Hikmat ki 50 books parhain, phir pata chal jaye ga k Sufi Sahib kon thay. Kuch din wait karain Sufi Barkat Ali (R.A) k bare mein mazeed post bhi kar dun ta k un ka maqam wazeh ho jaye. Hadees hai k start mein Imam Mehdi (A.S) ke 313 saathi hon ge. baad mein baqi log shamil hon ge. Yehi to change ani hai jis ke liye Imam Mehdi (A.S) ne ana hai. Agar pehle hi sath theek hota to Imam Mehdi ne kyun aana tha? ... HE (HAZRAT MAHDI (AS)) WILL APPEAR AT THE MOMENT OF DESPAIR AND HOPELESSNESS. HE (HAZRAT MAHDI (AS))WILL APPEAR AT THE MOMENT THE PEOPLE LOSE HOPE OF HIS COMING! HOW HAPPY THOSE WHO LIVE TO HELP HIM WILL BE! WOE TO THOSE WHO HARBOR ENMITY TOWARD HIM (HAZRAT MAHDI (AS)), WHO OPPOSE HIM OR HIS COMMANDS AND TO HIS ENEMIES! Brother it does not make any sense. Where u got this 8, 2 and 3 from? A good project cab be to make a Spiritual Book of Pakistan Future in PDF format by selecting important posts from this blog. You are welcome to download anything, links are provided with every post. *You will see a Print PDF button in green under each post, press this to make PDF. Is this guy overly pessimistic? Do such columns help in increasing the awareness of people so that they may appreciate the gravity of situation or one should ignore these as a rant and try to placate oneself by assuming that all will be well!!! There are many ways to spread awareness. Wasif Ali Wasif (R.A.)'s articles published from 1988 to 1993 in nawa-i-waqt newspaper, full of knowledge, warnings, wisdom, hope and most important Basirat. If one demoralizes after reading then whats the use of that piece of writing. Please read Allama Iqbal's Poem "Nafsiyat-e-Ghulami"
I recently start reading about Mehdi and dajjal and came up with site by my search. No doubt who ever is running this site is very hardworking and committed person. I would like to know also, that beside our spiritual leaders, what tablighee jamat buzurgs are saying now a days. what people like Tariq Jameel, Molana Abdul wahab etc who are the prominent figures of tablighee jamat are saying now a days regarding dajjal and mehdi. Aik Hadees e Pak kay mutabiq Aik waqt main poori dunya main Allah kay 356 khaas banday hotay hain jo nizam e takween ka hissa hotay hain ya jin kay hissay main kuch duties hotee hain, in main darjat aur uhdon kay hisab say Mukhtalif posts hain. Aik aur sahib jo bachpan main 4th class say hee sufi sahib kay paas jatay rahay aur aap kay mureed thay, bataya kay aik dafaa sham kay waqt dekha kay Sufi Sahib kay pas aik boht bara Kaghazon ka palanda hay, us nay aap say pooch lya kay bawa jee ye kya hay, us din aap moj main thay so aap nay bata dya, warna aam taur per Allah walay aisi baat kam hee ayan kartay hain....aap nay bataya kay meray zimay 40 rohani mahkamay hain jin kee report rozana raat ko Hazoor e Aqdas Salallah hu Alaihe Wasallam kee khidmat main paish karni hoti hay". Behtar az sad sala ibadat be-rya "
Allah kay wali kee aik pal kee suhbat sau sala be-rya ibadat say behtar hay. Masha'Allah thanks for these beautiful words, App ki baatain sach hain sari.